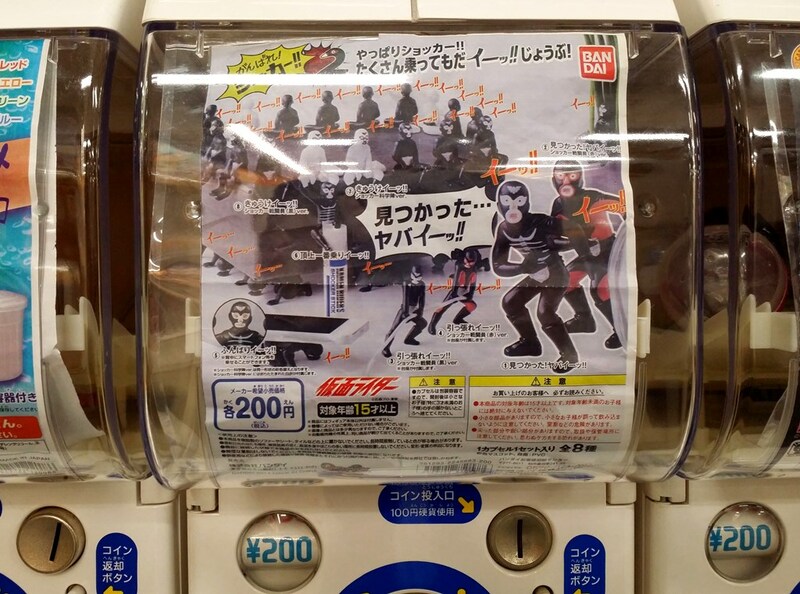 I know, this blog doesn’t talk enough about Japan’s weird and bizarre things. My friends who don’t live in Japan complain enough about it, and I’m sure my traffic would be more important if I did so on a regular basis (seeing the kind of topic the “big Japan blogs” like to tackle). 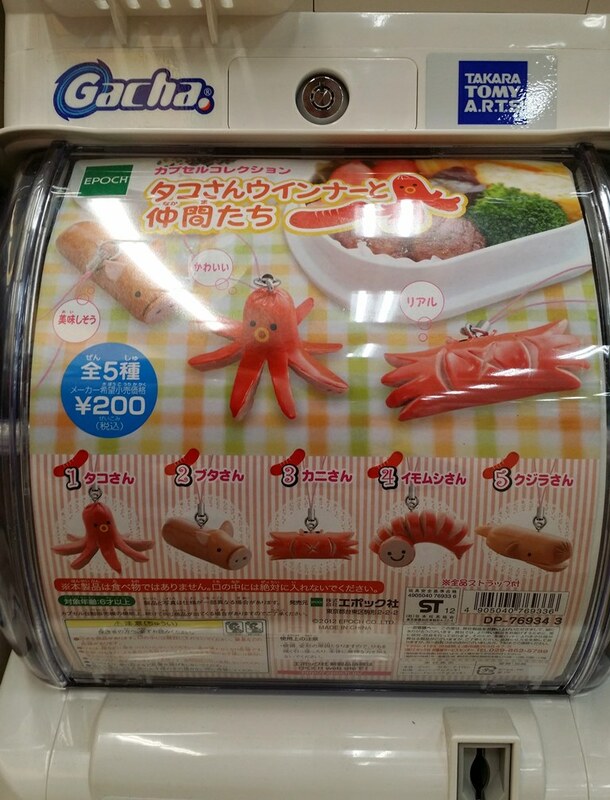 Well, the truth is that I don’t think that Japan is weirder than any other country. 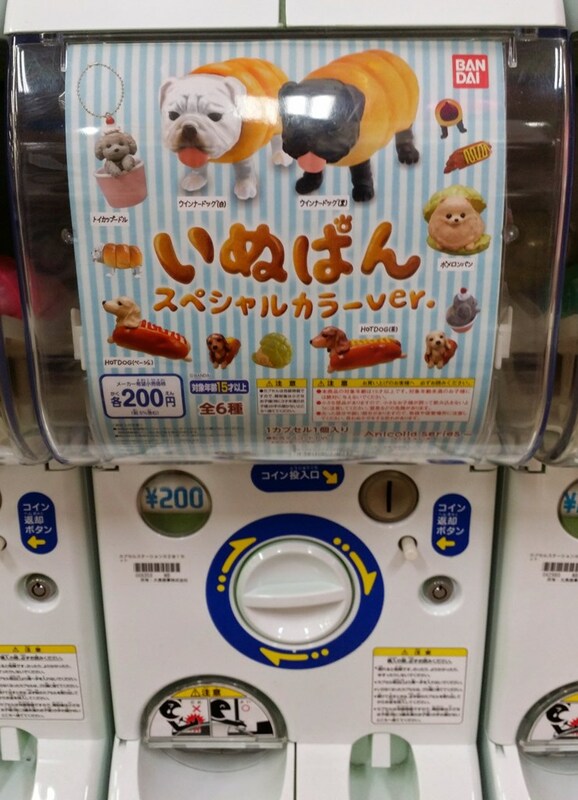 What most people (and especially the English speaking internet) seems to be unaware of, is that all the bizarre things one can see on the web about Japan is usually considered bizarre in Japan too. 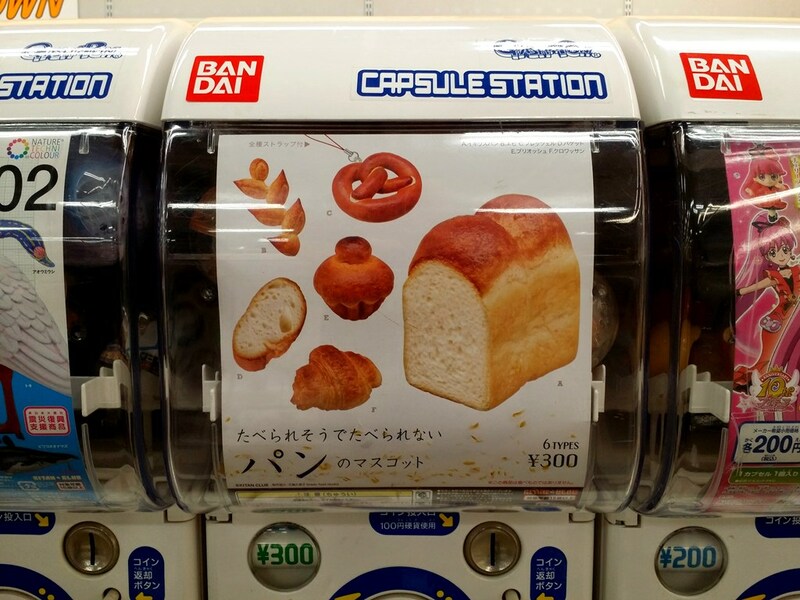 And honestly, I think I’ve seen more bizarre things during my time in the US than in Japan. So if I don’t really talk about those things, it is mostly because most of them don’t interest me, and more important, I too see those weird things on the English speaking internet, not in my everyday life in Japan. 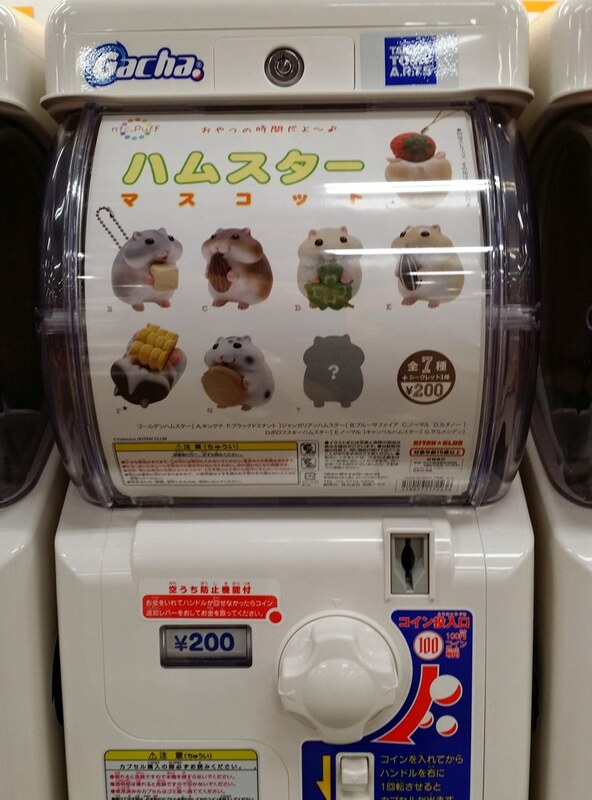 Well, first, I know them as Gacha Gacha or Gachapon, but apparently the official name is Gashapon, so this is how I’m going to call them all along this post. “Sure, but what are they?” asks my regular reader who is not used to that kind of topic on this blog. 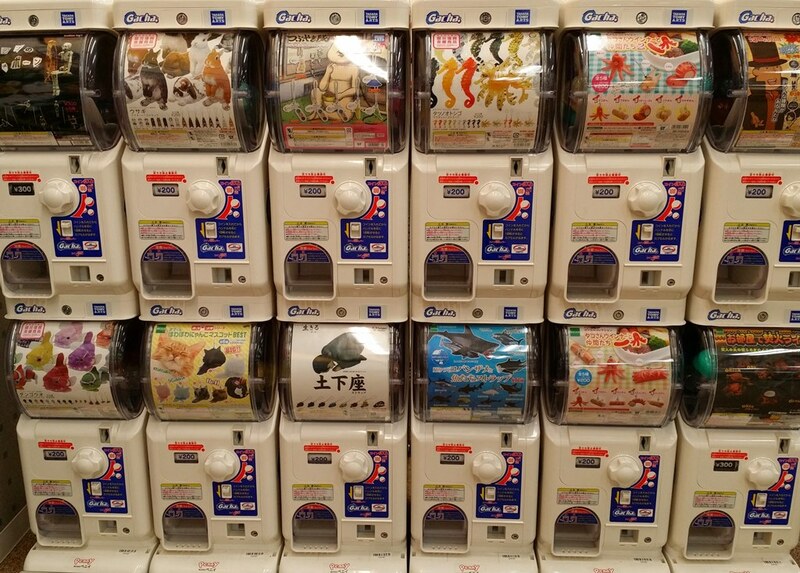 Gashapon are machines that can be found in many places in Japan, but mostly in shopping malls. 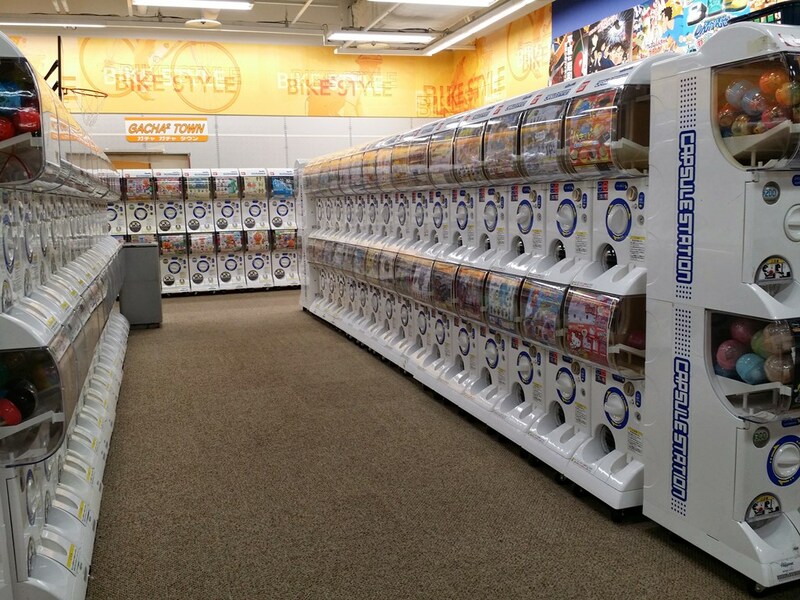 From them, you can buy small cheap toys or other gadgets. 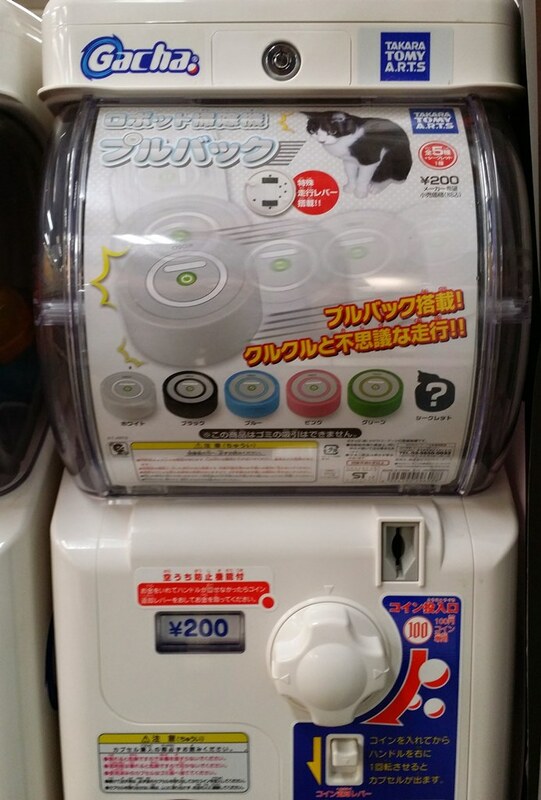 The toy or gadget is in a plastic ball, usually called capsule, and you won’t know exactly what you’ll get before buying it. 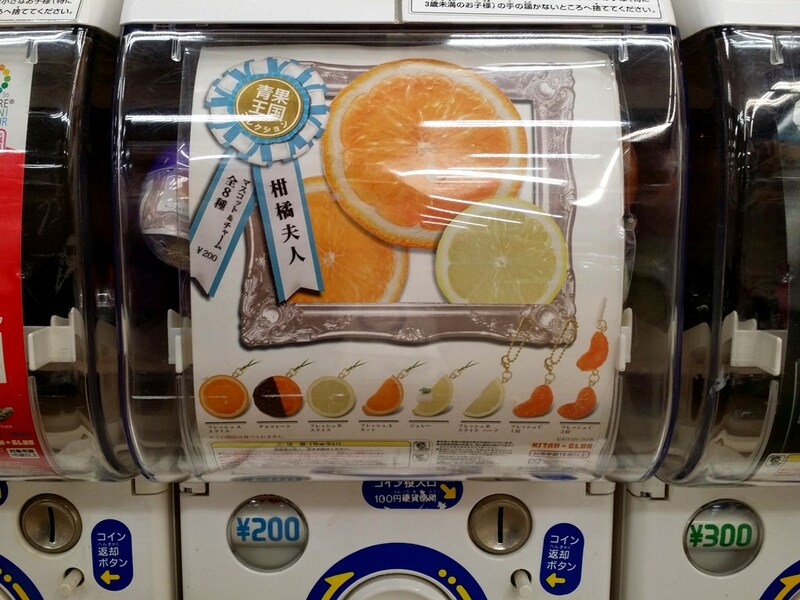 Every machine has a theme or is part of a series, and what you’ll get is a random item from a selection of roughly a dozen. 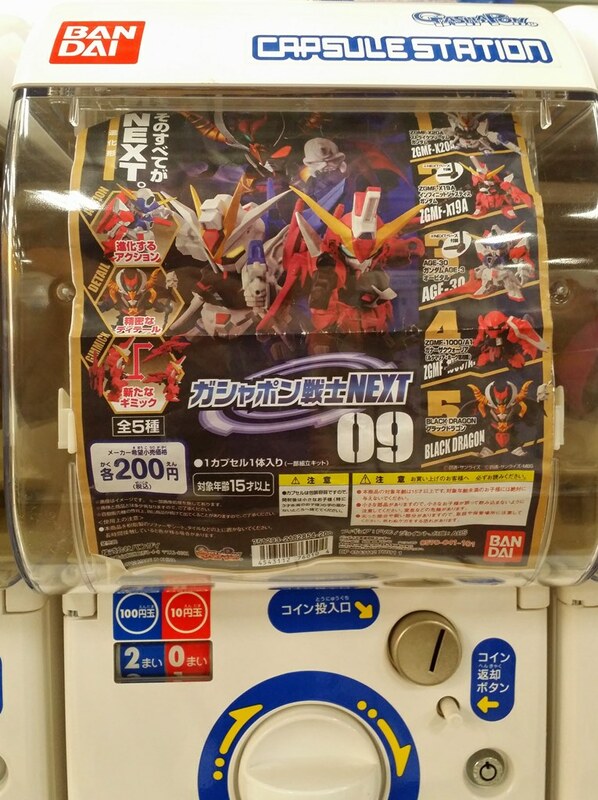 The other day, I decided to go check them out as my daughter being now old enough to play with some of the toys that can be bought at the Gashapon (which most likely means that I started a process that will cost me a lot of money over the next 10 years or so). 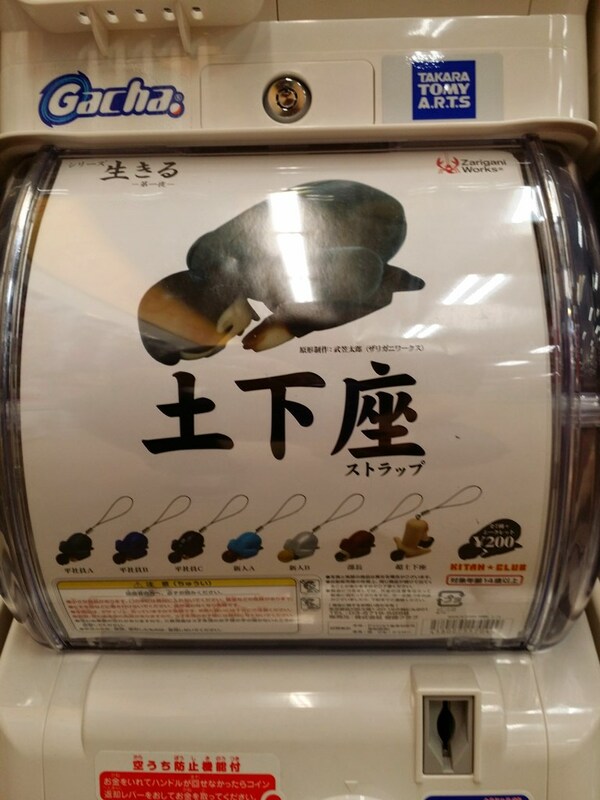 I’m not sure if it’s because I looked at them more closely than I had ever done before, or if the ones on sale at the moment are unusual, but I was really surprised by the number of “bizarre” Gashapon. And as a consequence, the idea to share them with you here started to take shape. 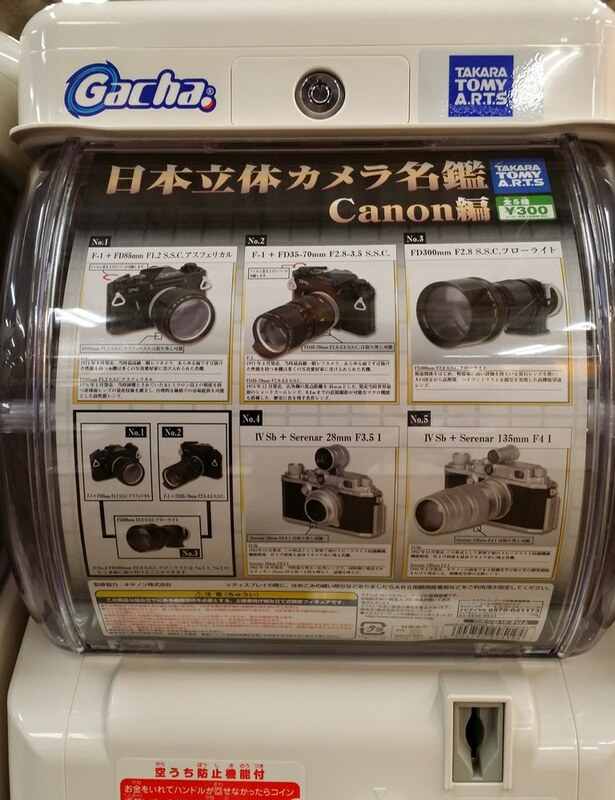 So, here are a few pictures (poorly shot with my cell phone) of some of the things that could be bought there. 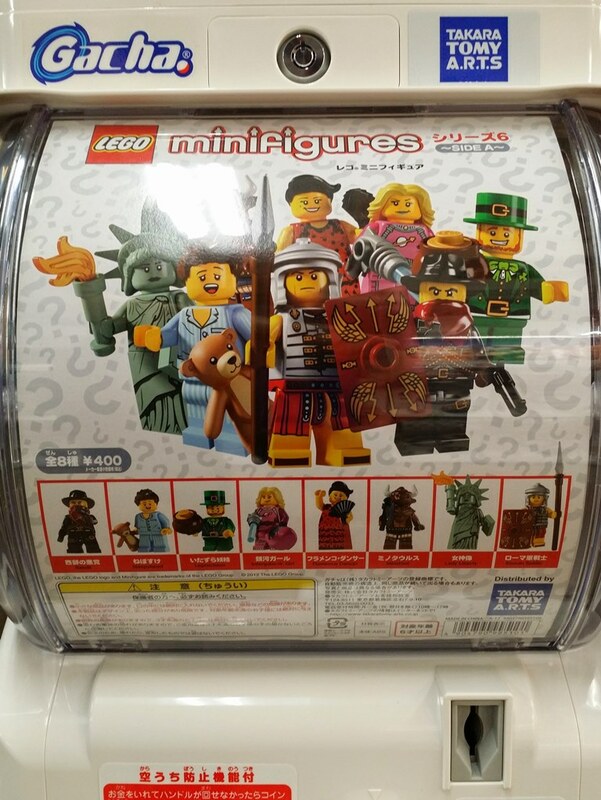 Of course, this selection is completely biased, as I didn’t really take pictures of all the “normal” toys that were on sale. 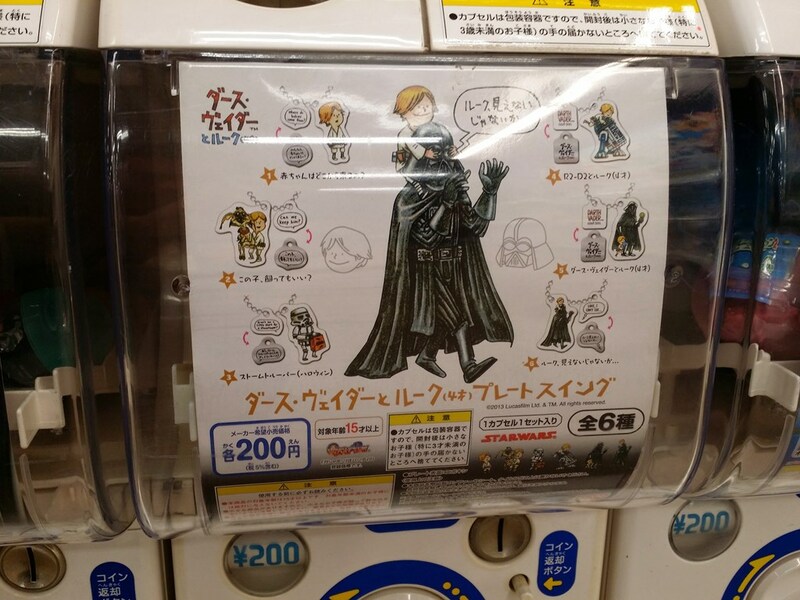 Please note that this is just a small part of the Gashapon section. To get an idea of the total number of machines, you need to multiply what you see here by five or six. This is the most I have ever seen in one spot. 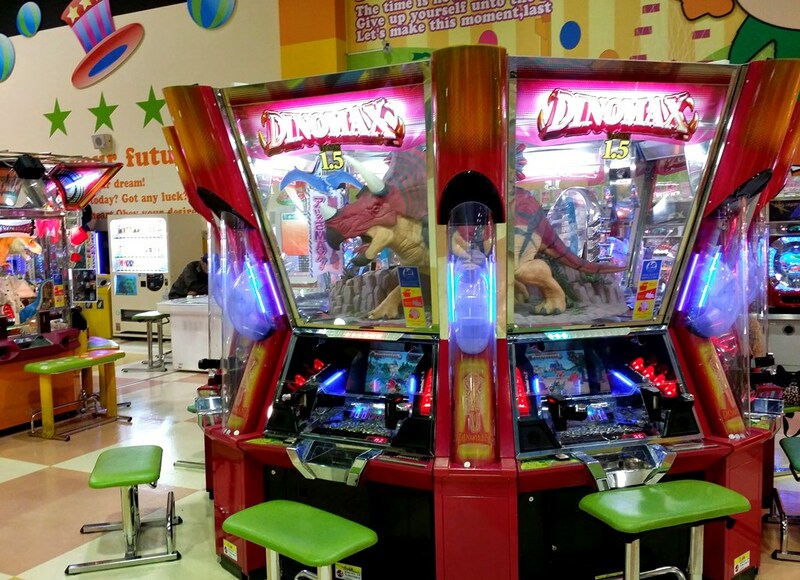 The other shopping malls in town, despite being larger than this one, may have a couple dozens of machines tops. 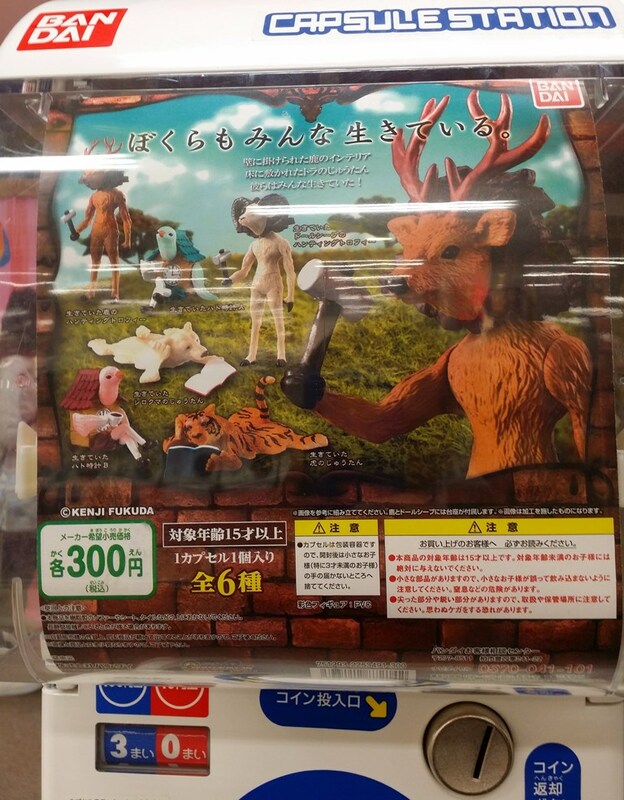 Don’t ask… I understand the same thing that you do: some animals standing on their hind legs with hammers, probably flattening the other animals that reading books. 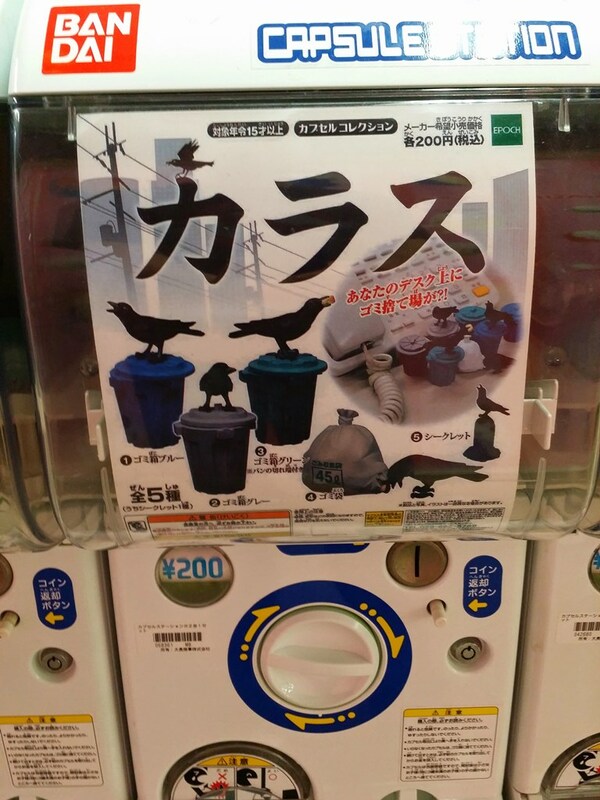 For the fans of crows eating garbage. 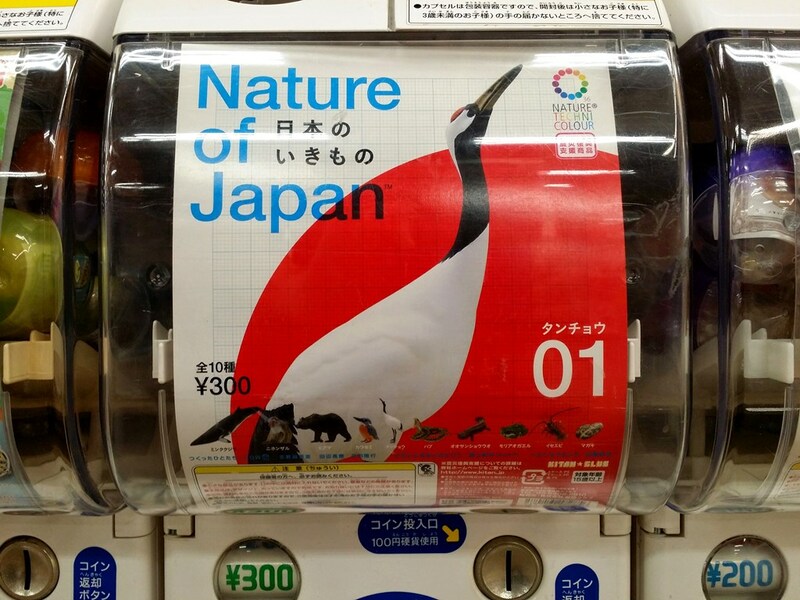 A bigger Japanese “icon” than cosplay or manga if you ask me. On the left, caterpillars. On the right, pastry-cats. You choose. Not too sure what they are. Ninja pro-wrestlers? 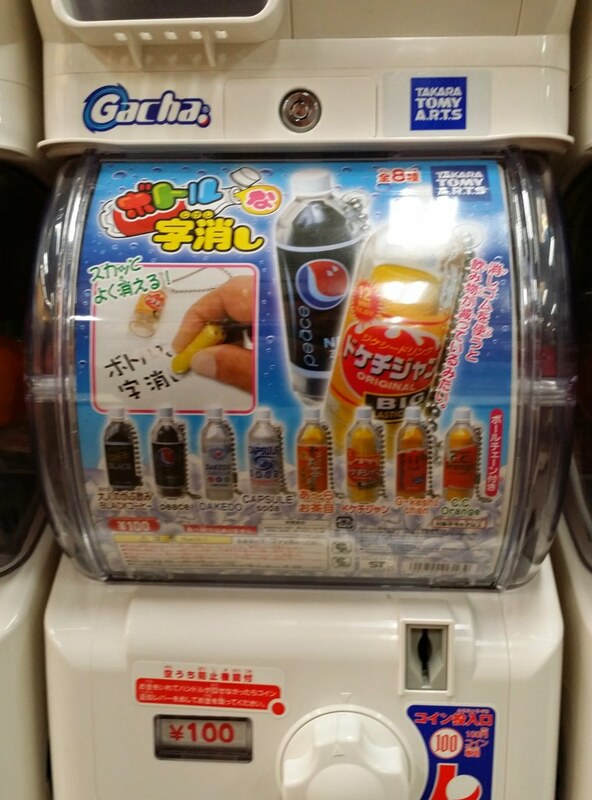 Some Gashapon do have an educational value. 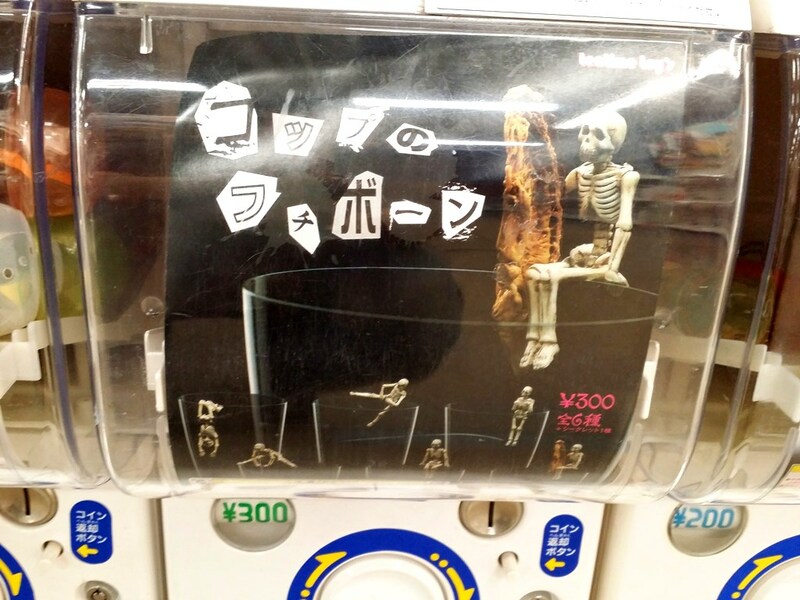 Small skeletons to decorate your drink. Also available in fluorescent version. Vader and Son has not only been translated into Japanese, but also “gashaponized”! 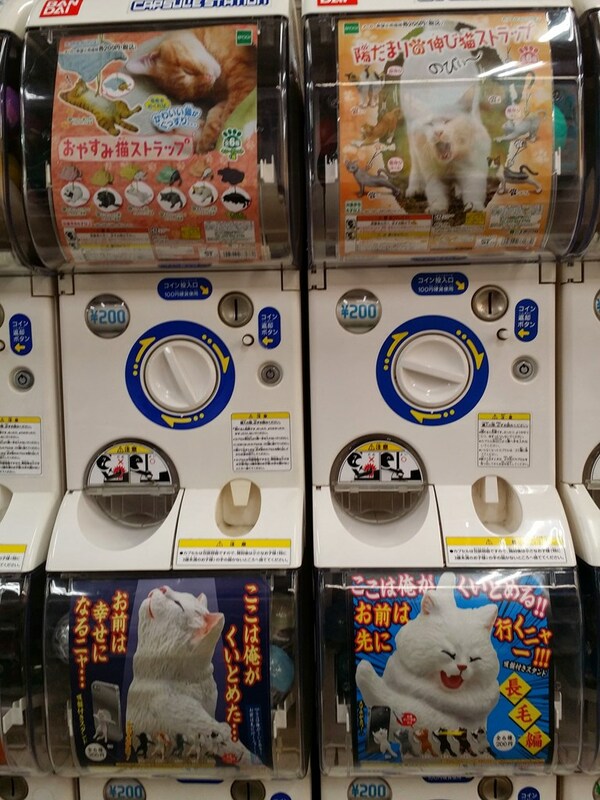 Cats really are everywhere in Japan. 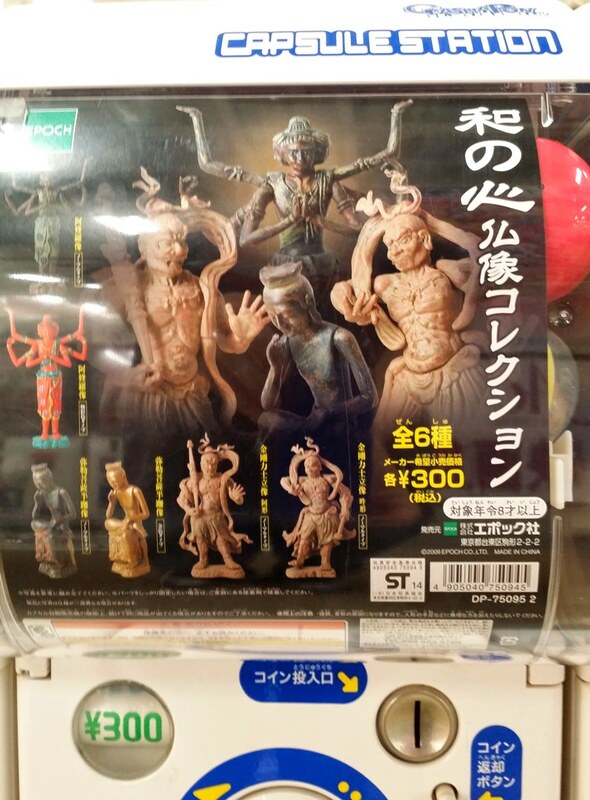 Yes, those are buddhist statues. You may have seen some of the originals on this blog. Yes, this is Rodin’s Thinker. You didn’t think he spent his entire time thinking, did you? 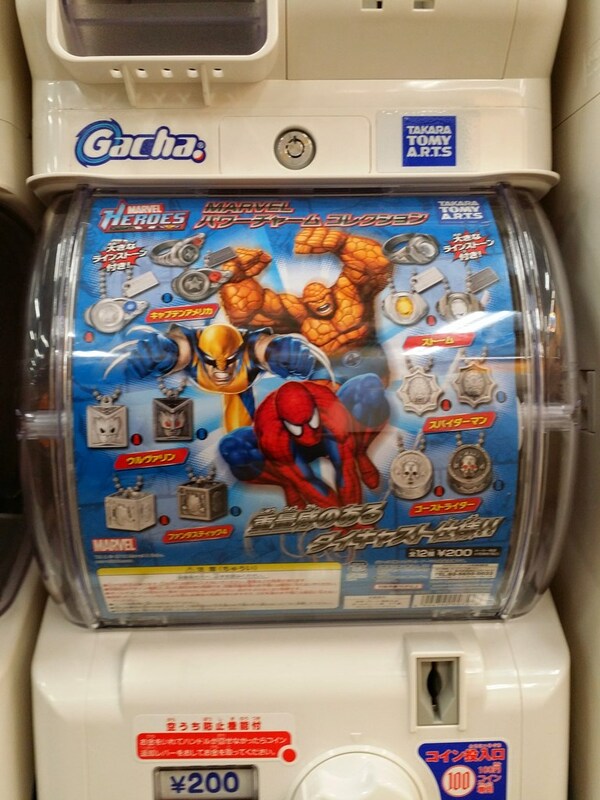 … and sometimes I’m even too sure what this is all about (I fail to see the link between Wolverine, Spider-man and the Thing, and those toy rings and necklaces). 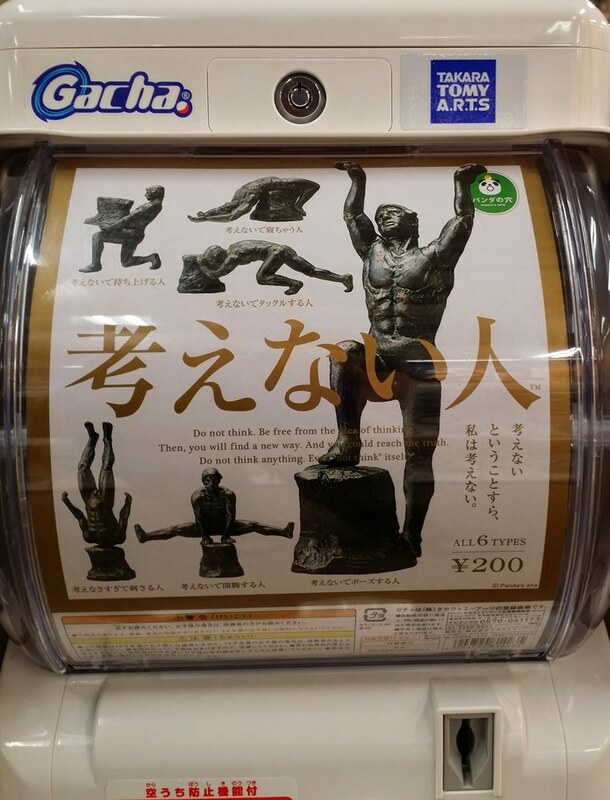 The “extremely sorry salaryman” is a very popular thing in Gashapons. Don’t ask me why. 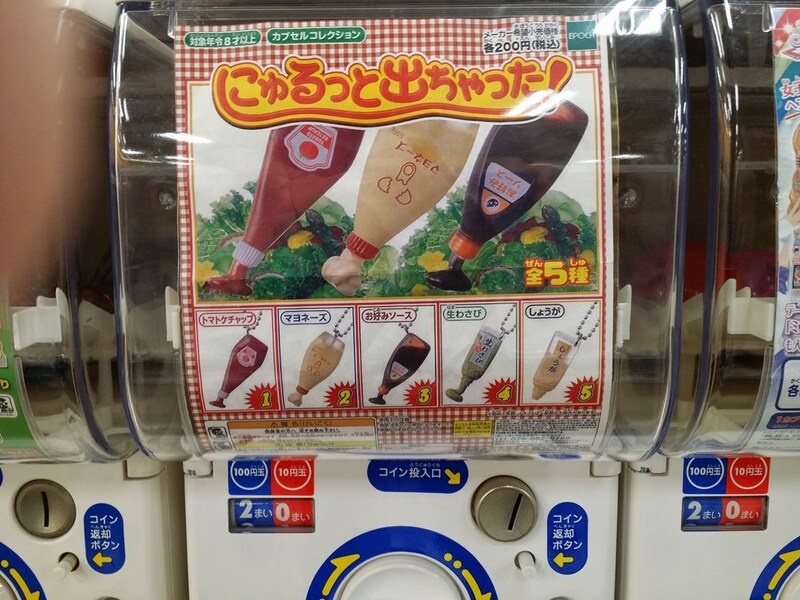 Sausage art… Usually found in children’s bento boxes, today brought to you as a cell phone “charm”. 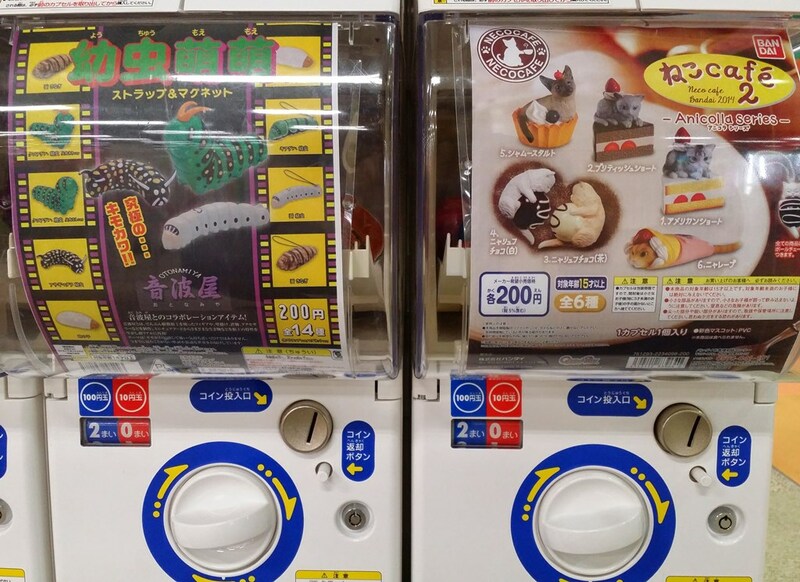 Most of the toys that are found in Gashapon are obviously for children, but those ones are for cats. 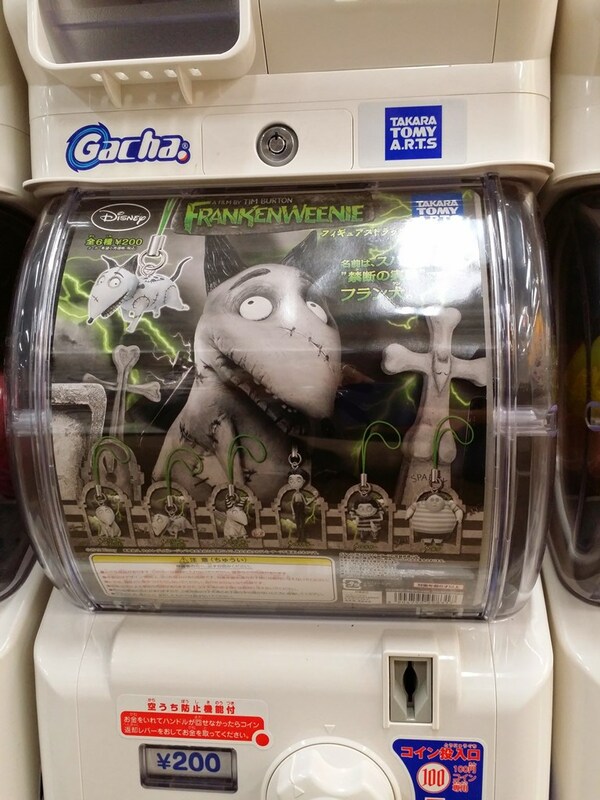 As I said before, don’t get me wrong, not everything you find in a Gashapon is weird. 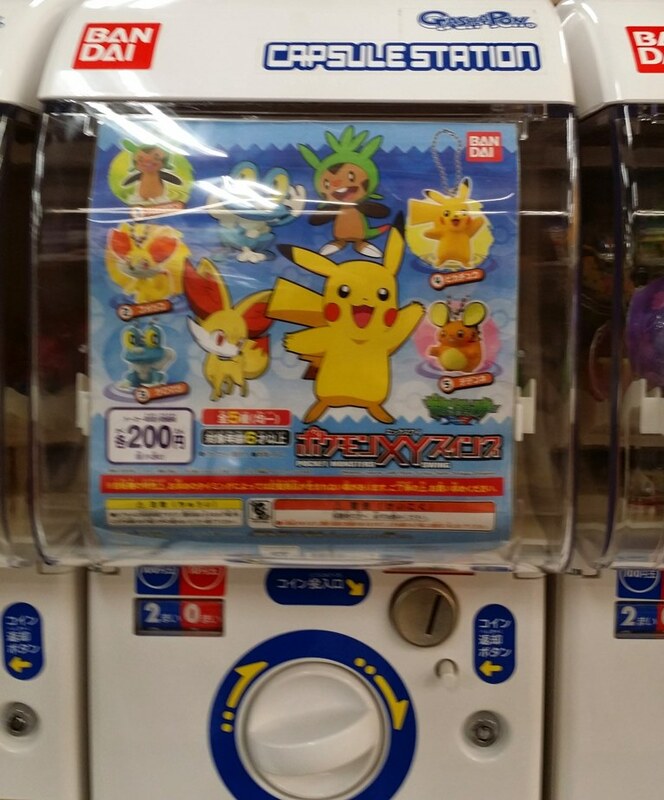 There are also many things you do expect to find there, such as the ubiquitous Pokemon and Gundam toys. 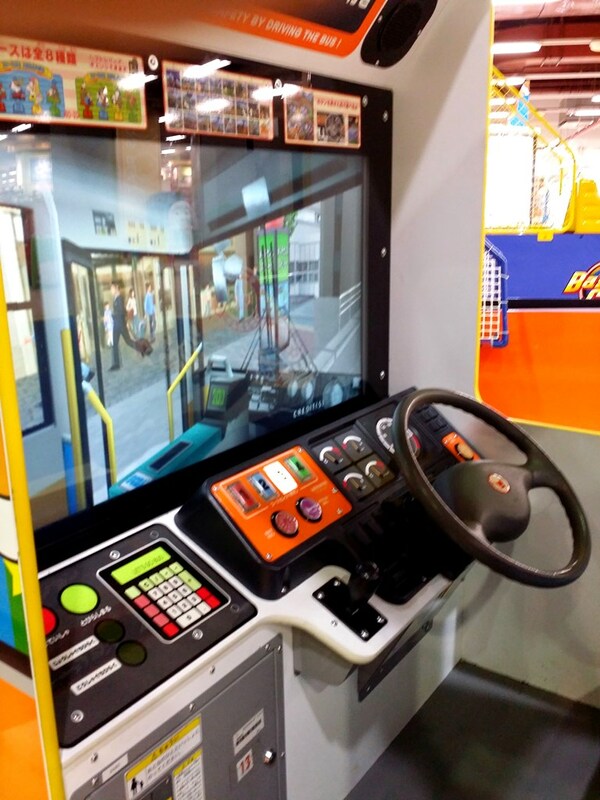 In this video game you play a bus driver, who is driving his bus. Wel, with so many machines to supply it is a given that they will at some point run out of normal ideas… Besides, one of them would be very handy if the cell phone battery starts to leak! 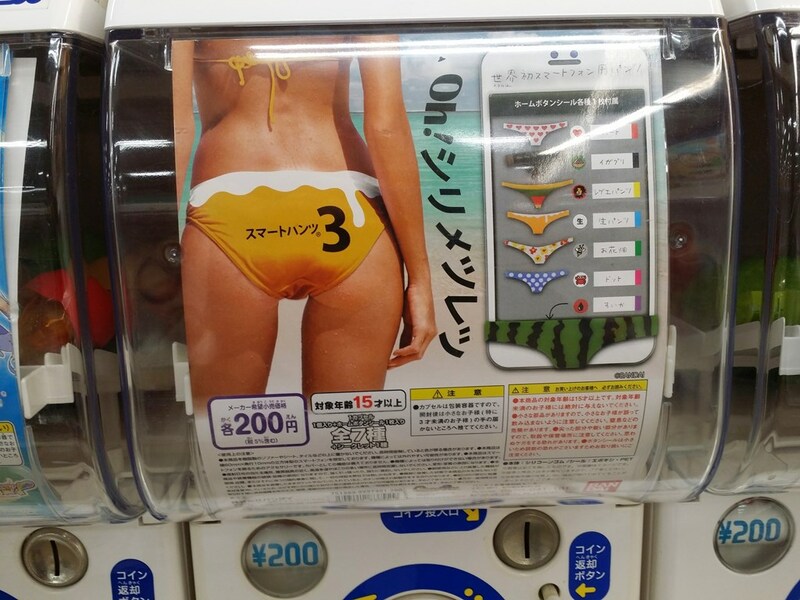 I saw the bikini phone cover a year ago. A friend of mine did a great video on Gatchapon (as I tend to write it). Nice video (despite my uncontrollable disdain of Akihabara). Yes, I’m sure if I paid attention to them more often, I wouldn’t find them too weird, that’s one of the things that’s still novelty to me in Japan.